Located deep within the circuitry of a mechanical alien host known as Maetrik you will nd a complex web of syn- aptic dispersements resembling what could be called a soul. And this soul which drives it’s host and manipulates it’s every move is nally beginning to emerge. Its name is Maceo Plex. The emergence of such an entity has been the result of a need for feeling, a need for interplanetary funk. We as humans consider this need a feeling, a feeling rooted in emotion, and emotion being the very basis of humanity. 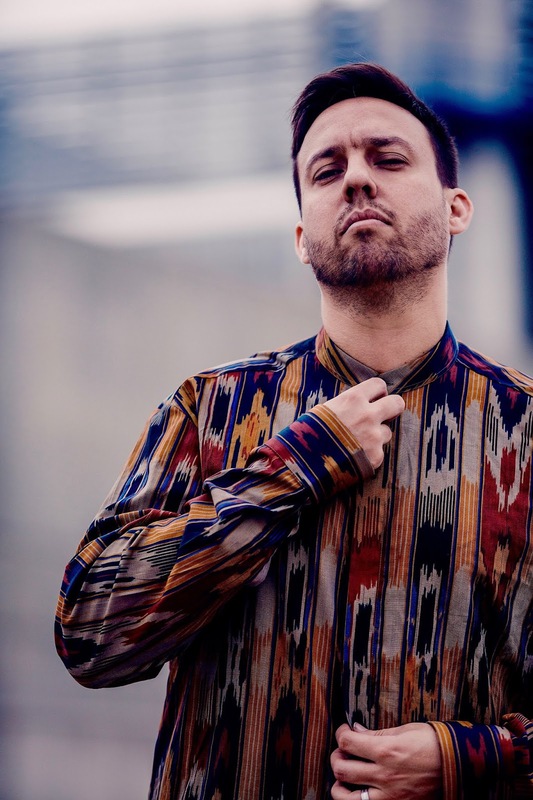 Maceo Plex is on a quest to full l his need to inject feeling and funk into the world, and he’s already proving to be quite productive. With deep and funky works of audible engineering for the label Crosstown Rebels in the form of a full length album titled “Life Index”, a night with Maceo Plex will be one of galactic proportions. To explain the evolutionary process behind Maceo’s existance we must travel back to 1993, to the beginning of his creativity. At the start...Maceo was intrigued by a pair of circular shaped objects designed for holding discs created from vinyl that produced vibrations resulting in sound and music. Soon he began conjuring up mixxes of techno, electro, and house music that quickly gained him popularity within the early 90s rave culture. But in 1997, while Heavily in uenced by the sounds of other modern funk theorists such as Model 500, Kenny Larkin, Idjut Boyz, Convextion, etc... Maceo began experimenting with hardware modules containing knobs and keys to form his early musical compositions. Seduced by the sounds of techno & electro, Maceo grew into a technologically advanced being later to be known by various names such as Mariel Ito or Maetrik. The profound change has taken Maceo Plex from the complex and dark life in America to his current homebase of Valencia, Spain. The sunny and relaxed atmosphere has been quite useful to Maceo in his lengthy inward journey that is very apparent in his music. After a much needed retreat into the funky sounds of Parliament Funkadelic, Moodymann, Atjazz, Isolee, and Luomo, Maceo has nally completed his transormation and is shining brighter than the star Sirius....and his newest musical output re ects his radiation in a variety of beautiful colors. In late 2010, Ma- ceo’s single “Vibe Your Love” was nally released on the very foward thinking label Crosstown Rebels and includes a hefty funk remix treatment by Zev of the Wolf & Lamb clan. 2011 kicked o with the full length debut album aptly titled “Life Index” which chronicles Maceo’s life long transformation into the soulful ball of energy he is today.